The number of drug overdose deaths remains on the rise in the U.S. though opioid-based prescription pain relievers—long considered providers' contribution to the epidemic—caused fewer of those deaths in 2015, according to federal data. Between 2010 and 2015, the number of overdose deaths increased by 44%, from 38,329 to more than 52,400, according to the latest figures from the Centers of Disease Control and Prevention. Those numbers worry drug recovery advocates, as they await the Trump administration's decision on the future of the White House's Office of National Drug Control Policy. The administration had included the office's elimination in a plan to reduce federal government spending. On Thursday, the American Public Health Association along with nearly 200 organizations representing addiction treatment, behavioral and public health experts, patient advocates, and law enforcement officials wrote a letter to Mick Mulvaney, the newly confirmed director of the Office of Management and Budget, expressing their support for maintaining the office in light of the severity of the nation's drug epidemic. “At a time when drugs now kill more people than firearms or car crashes, it is more important than ever for (the Office of National Drug Control Policy) to remain a strong voice in the White House and a visible presence nationally,” the letter stated. 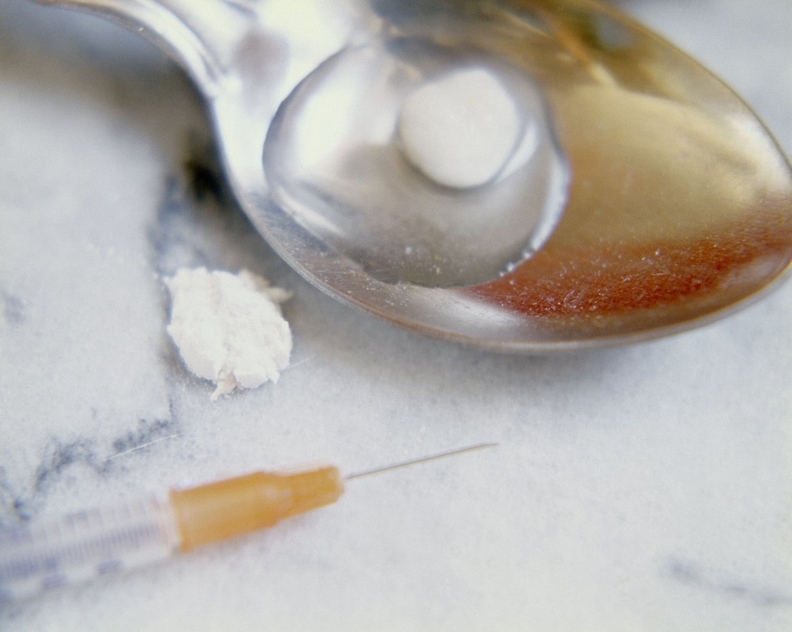 The percentage of heroin deaths grew from 8% to 25% of all drug overdoses between 2010 and 2015, while deaths from prescription opioids declined from 28% to 24% during the same period. Synthetic opioids such as fentanyl also have seen a spike in deaths, accounting for 18% of ODs in 2015 compared with 8% in 2010. In recent years, the increase in heroin laced with fentanyl has been a growing concern among law enforcement and public health officials. The combination produces a substance as much as 50 times more powerful than heroin. The move to eliminate the White House drug control office seemingly conflicts with Trump's campaign rhetoric last October. At a rally in New Hampshire, he unveiled a plan to address the opioid epidemic by expanding access to medication-assisted treatment by raising the cap on the number of patients a physician can treat with buprenorphine; expanding the use of drug courts and mandated treatment; and increasing access to the overdose-reversal drug naloxone for first responders and caregivers. Information describing the Office of National Drug Control Policy has been removed from the WhiteHouse.gov web site since Trump took office. Established in 1988, ONDCP is seen as the administration's voice when it comes to its anti-drug priorities. It sets policies to address drug abuse; provides grant funding to local and state agencies in their anti-drug efforts; and coordinates among various agencies in their efforts to eliminate drug trafficking and prevent drug use. With a federal drug control budget of about $30 billion a year, the office under the Obama administration advocated for greater resources toward treatment and recovery efforts rather than law enforcement and criminalization of drug offenders. It's unclear whether money that currently goes toward funding ONDCP would be diverted to the Substance Abuse and Mental Health Service Administration, the Drug Enforcement Administration, or other agencies involved in fighting drug abuse. But the office has faced criticism over the years. Dr. Andrew Kolodny, co-director of Opioid Policy research at Brandeis University's Heller School of Social Policy and Management, said ONDCP had traditionally operated more like public relations for the White House on drug policy than an entity that took any meaningful action on its own. His view began to change during the tenure of Michael Botticelli as ONDCP director. In 2015, Botticelli announced drug courts – programs that offer substance abuse treatment to non-violent drug offenders instead of sentencing them to jail – that receive federal funding could no longer prohibit medication-assisted treatment. Instead of closing its doors, Kolodny said he'd like to see the office take steps to establish a more coordinated response by the government to the drug epidemic. The government's response, he said, has been muddled by conflicting positions among federal agencies. “When the most urgent public health problem facing the country is an addiction epidemic, that is not the time to be closing down an office that's involved in tackling this problem,” Kolodny said. Advocates are curious to see if Trump addresses his administration's strategy on the national drug epidemic during his address to Congress on Feb. 28. The epidemic has heavily affected many areas where Trump's voting support was strong. A media campaign was recently launched by the group Advocates for Opioid Recovery that calls on Trump to make the same show of his commitment toward addressing the problem that he did when he was a candidate. “We would like to see the same type of tenacity and bravado in which he approaches some of these other issues applied to the issue of opioids,” said Anne Woodbury, executive director for Advocates for Opioid Recovery.